As Mick pointed-out during one excursion into the English language, Munich was the location for the recording of part of Black and Blue. He forgot about It’s Only Rock’n’Roll… just like he had a couple of other memory omissions during the evening: more of that later. That recording studio, Musicland, is now the exercise room of a hotel I’m told, and it certainly looked as if Mick had been using it a lot. Some of his moves and standing poses look like photos or videos from the 1967 European Tour, not one 50 years later. I’m convinced he has an ageing painting of himself, probably painted by Ronnie years ago, hidden in his roof. All very Oscar Wildesque. He also mentioned that the band had played in Munich many times in the past, and in the Olympic Stadium 9 times I think. 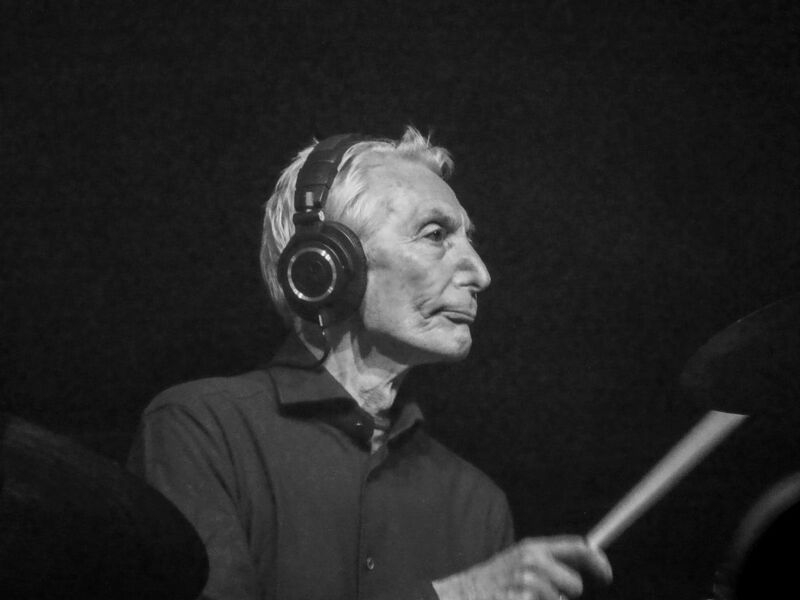 They did look and sound on familiar territory, from the first glimpse of the slim figure of Charlie climbing onto the drum stand to the last wave as they left after 140 minutes or so of high powered rock and roll. What can a rich boy do except sing for a rock’n’roll band (or play drums or guitar). 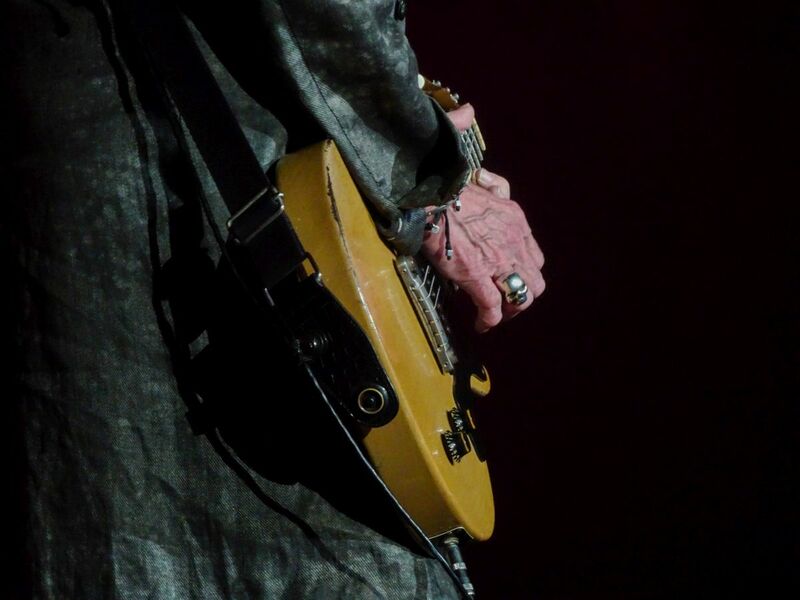 Sticking with a language theme, and again as we all have come to expect, Mick was often referring to the teleprompter for some choice German phrases to keep the audience feeling at home. Amusingly at one point he ended a few words of German with something like “and other random German words” – I’m sure an IORR reader somewhere will remember the exact wording. It made me smile. 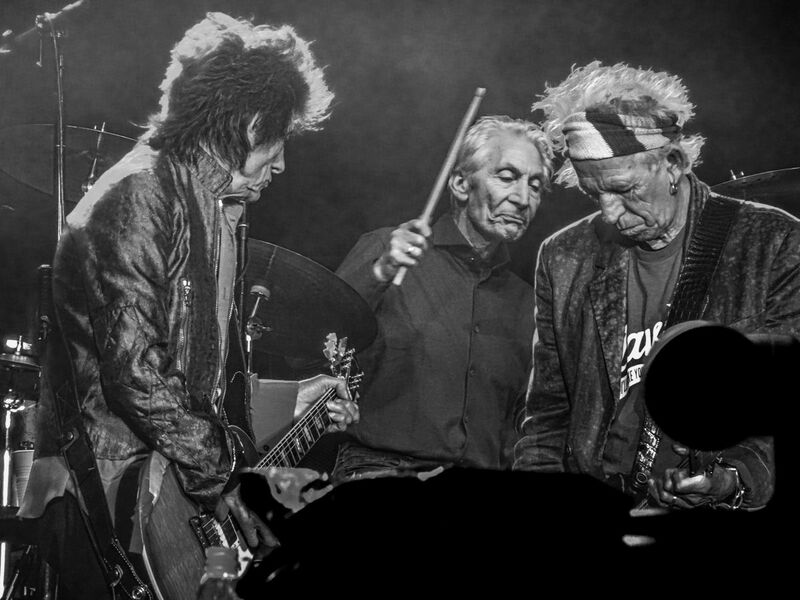 This feels like a Mick review so far; its probably because I’ve come to realise that no matter how crucial Keith, Charlie and Ronnie are to the Stones, Mick really is the key person especially on stage. There he is the entertainer most of the time; the ultimate music performer who with his voicings, his glances and wry smiles, his dancing, his mostly ad lib comments, with energy enthusiasm and organisation, drives the whole show. He made couple of mistakes, singing a verse of YCAGWYW twice and stumbling with the words as he realised, and getting out of sync with where they were on Rambler – the others were spot-on. 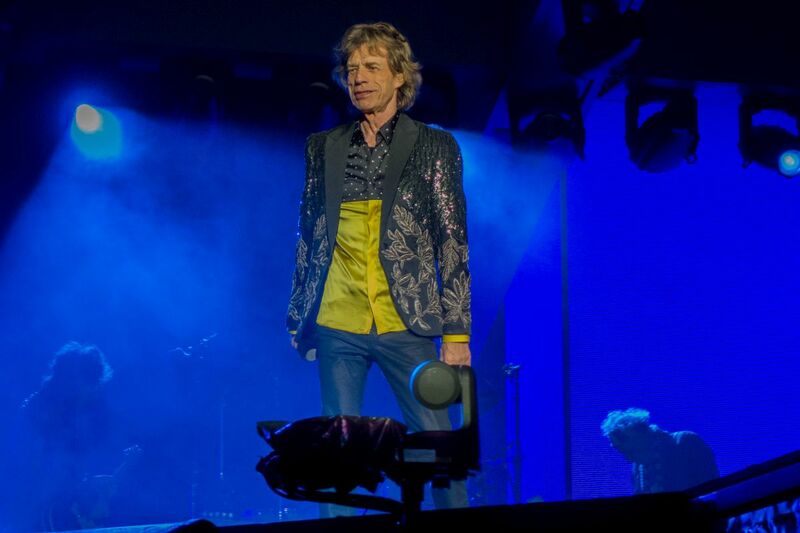 Just goes to show even Mr Jagger is capable of the odd slip – and he does carry a lot on his thin shoulders during a show, and no doubt for weeks before. The start of the show for this tour is a very slimmed down affair. Music ends, lights go down, no Matt C announcement, no extended video to remind you who is about to arrive. Just the rhythm of Sympathy, some red lighting, and off we go. Mick, Chuck, Charlie, Daryl playing (maybe Ronnie) and then to cue-in the chorus the thunderous roar of a Keith power chord – a B7 shakes the Olympic park. And a shorter version of Sympathy I felt; I may be wrong. Compact, which I hope allows for 21 or 22 songs every show on this tour. We get 3 famous songs, then Out of Control (how that has matured, and really grown on me in the last 20 years), and then “two new songs off of Blue and Lonesome”. OK so not really new, but great fun, lots of guitar weaving and some beautiful 2 guitars plus blues harp interaction as well. Brief, under 3 minutes each. Guys – throw in another to keep us all excited. The crowd were super enthusiastic for these songs that are even older than the band, and the energy and power radiating from the stage when they were played. In fact apart from Slipping Away, this was a fast song-beat gig. No slow ones from Mick (well maybe Beast), only Keith, but then maybe we all got the “who wrote which type of song” analysis wrong for many years anyway. Beast of Burden was the voters choice; I’d have preferred Rocks Off – still one of the best two album openers ever in my opinion. I loved Keith’s little slip starting this; his wry smile at Ronnie, and maybe Mick, and the relaxed way he re-started – maybe it was the change of key as this is now played in A. Remember super-fans, these guys are human and make the odd mistake, and they recover from them and the Stones wouldn’t be the Stones without a little sloppiness from time to time. This is not Pink Floyd or a Philharmonic. My first show was in London in 1976, so I’d never seen Dancing with Mr D. live before. It worked really well, and could have been written anytime since 1968 – it really weathers time like the band. The added vocal harmonies and a little bass frill at the end of each chorus helped create some innovation – but it really does work live. We were playing an old live version from the ’73 tour before we left the hotel for the gig. This was as good, maybe better. I’ll listen more closely next show I attend, and not let my mind drift back to buying Goats Head Soup on the way home from school and playing that first track. Rambler did ramble a bit, I thought on the night. I need to listen to a recording to validate that impression. Yes I think Mick got out of sync, but I also felt the whole song was a little ragged. It had just rained I think; really poured. Were they were trying to change Rambler a bit, maybe shorten-it? It is a major piece in the Stones Opus, and maybe that was what nagged at me. Mick commented on it being “parky” (English slang for cold) and then that the rain hadn’t been forecast. There are some great rainfall radar sites that would have corrected that idea 2 hours before the gig started. I hardly saw him use the teleprompter – few in the audience would be able to do that for material they wrote years ago, and only sing 20 times a year now. 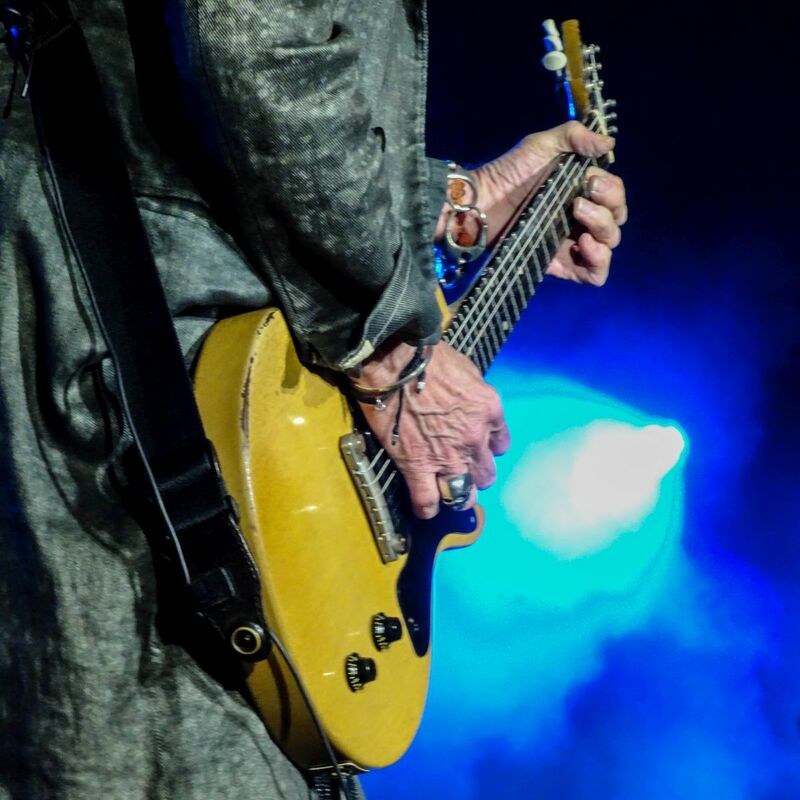 I’ve read negative reports on Keith in Hamburg. He seemed in great form last night, full of energy and really focused on his performance in all senses. They play together so infrequently these days, maybe 120 hours each year (work it out), so at times it will feel loose. Get over it people. Non-super fans wouldn’t notice it at all. Ronnie was playing very seriously I thought; less clowning than even recently. Very enjoyable. I did worry about Charlie towards the end, not that it affected his playing one iota. But drumming for well over 2 hours in the cold, even if he avoided the wet: not a great idea. 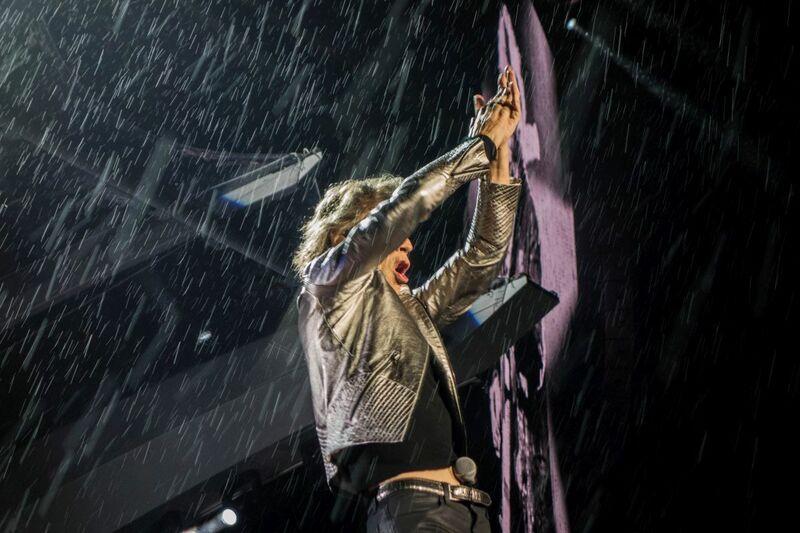 Memo to Stones Management: Don’t book gigs where, and when, the weather can be poor, cold, or dusty, or very wet. More concern for the team please. Shelter works well as an encore starter, and Sasha really sang strongly, moving with Jagger on what was probably still a slippery walkway. Some very strong soloing from Keith, and Ronnie. The start was a bit different – plan or something else? Who knows. And Flash, which I have read is Keith’s favourite, finished proceedings off very very well indeed. Ronnie seemed to stop the 4 “principals” walking down the catwalk for a final bow – again blame the Baverian rain. As always the band got great support on-stage from Chuck (whose piano was mixed-up really well on some songs, tinkling away), Daryl, Tim (even if the keyboard didn’t work for half of YCAGWYW; great solo on Miss You), Karl (Sugar in particular excellent), Bernard (little duet with Mick on Beast, and I felt more “supportive” singing for Mick than usual, hitting the higher notes); finally Matt, whose birthday it was. Never underestimate how this “family” around the band keeps the show on the road and enrichens the performance. Four special mentions as well. Firstly the backline crew, for their usual excellence. Then the catwalk “cleaners”, either sliding on towels or pushing brooms, to allow Mick to come down safely all through the show. Next to Dave Natale, sound engineer par excellence. I had a long chat with him last year, post a show, and I saw he got an Emmy recently. All I know is that he has magic in his fingers on those mixer sliders! Finally the stage, and the light show. I bumped into Patrick W at the airport on the way home, and recognised him as the lighting designer. He is sat a few rows in front of me as I write this. He told me he had worked for the band since 1982 (Aberdeen), and visits key shows. The new “screens” and the show they allow were superb. It looks a bit odd in the light, the gaps between the towers. But the ability to see all 4 Stones, or watch Tim on sax, or Bernard signing, from all directions, and then a mix of people. Great. The portrait format means you see everything super large and clear (must be 20 metres high), and angled to reach all the audience. And it creates some funny images. Like Ronnie’s shoe, enormous in size, seeming to press down on Chuck’s head like a Monty Python animation. Brilliant; thanks to all the team for that. Its been almost 11 months since my last show, in Las Vegas. Indoors, Mick recovering from the California dust, new album out since then, etc. etc. So I had lots of impressions to try and write down. Hence the length of this review. Everyone I was with, or talked-to, had a great time. A few preferred Hamburg (I’d like Play with Fire and Thumb please…. email me and I’ll send the other 5 shows I’m attending), but the smiles and satisfaction… well we all really got a lot last night in Munich. Tuesday marked my fifth trip to Munich's Olympic Park, and I finally made my first visit to ConnollyStrasse 31 - the site where 11 ill-fated Israelis were taken hostage during the 1972 Olympics. I'm not sure I'd want to live in a house of death, but German students evidently have no qualms. Onward to the stadium, and my "cheap" seat in the stands where I watched most of the show on the big screen at stage right. It occurred to me that each of the screens is supposed to represent a giant smartphone, and this somehow fits in with the No Filter theme. Or maybe not. The highlight of the evening? ConnollyStrasse. As for the Stones, I give them a bronze medal for springing out of the starting blocks and running for almost two and a half hours. That's about Marathon duration. Two shows into the tour, and they are playing it safe. 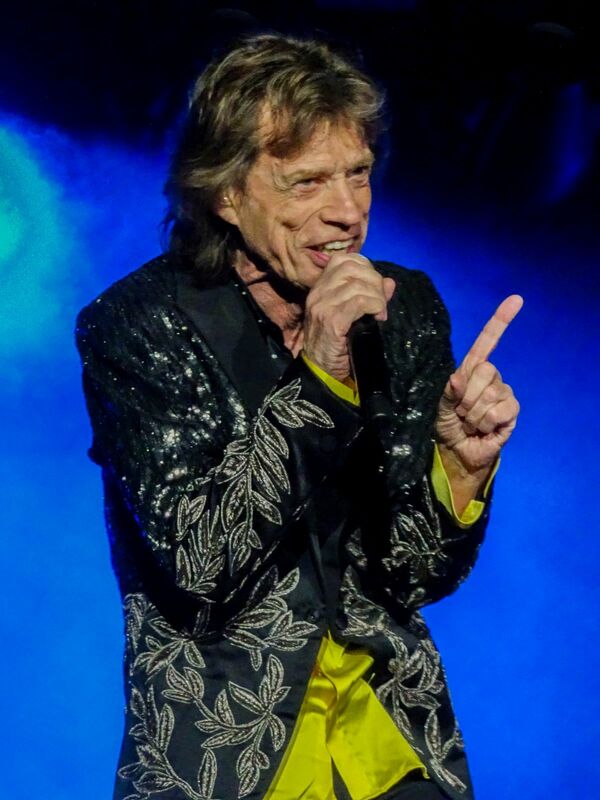 The set list was virtually unchanged from Hamburg with "Beast of Burden" subbing for "Under My Thumb." "Play with Fire" was dropped and not replaced. As an aside, isn't the fan vote thing getting old? It's been a fixture since at least 1997. Let's come up with another gimmick. My suggestion: Each night they play one song they have never played before and will never play again. Take your bathroom break at your peril. The best parts of the Stones' set: Mick and Bernard doing their front-of-stage Sam and Dave thing during the outro of "Beast of Burden." You can tell that Mick digs the improv nature of such duets - or duels. "Street Fighting Man" was powerful. It made me wonder: Why not end the main set here? It's already 10:15 p.m., and we have been partying for 105 minutes. Give us a one-song encore, and leave us wanting more. The performance seemed a little tighter than in Munich, but that could have been due to speaker placement and my distant seat. In other words, I don't think 99% fans are irked by anything. Did they notice that Mick sang the "cherry red" portion of "You Can't Always Get What You Want" twice? Or that the backing singers had to save him when he muffed a portion of "Dancing with Mr. D"? This would be a great song if he didn't snarl the lyrics. There are some colorful motifs, but they all end up getting ground down into one lengthy rant. 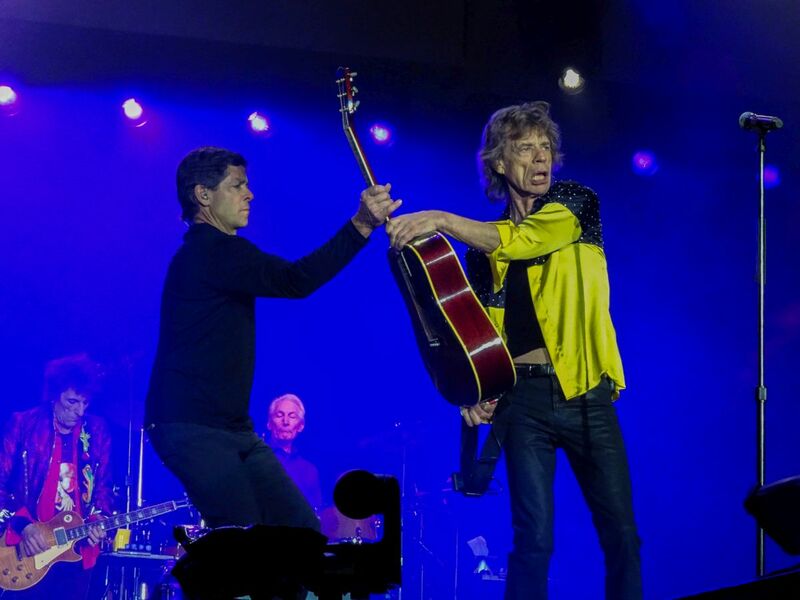 Mick claimed it was the 15th time the Stones had played Munich since 1965, which nerds might want to double check. He also name checked "the album Black and Blue," which was recorded in Munich, and mumbled something that sounded like "good for a laugh." I'm not certain. He didn't have to, but he put some muscle into newly relegated "Satisfaction," singing it with the excitable gusto of Otis Redding. Finally he instructed Keith, "Get outta here." Speaking of Keith, he showed up. I'll leave it at that. Today no front row, just a tribune west block Z4, but in this position we have been able to watch the new 4 video screens and the new video material: Whow ! 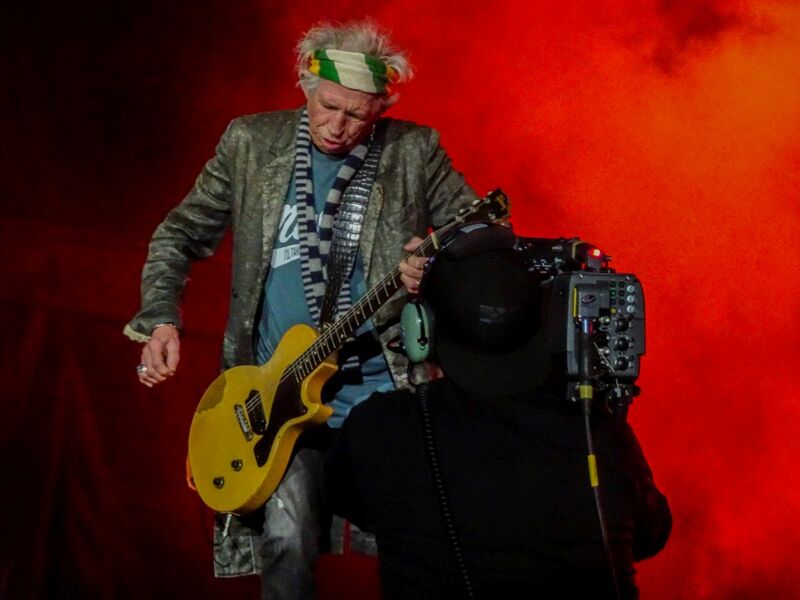 For me it's just the best vidéo the Stones had ever have since nearly 30 years have been watching them on stage. Top quality, some times colour, some times black & white, with some marvelous effects at different times scpecialy on "Dancing with Mr D". Again thank you guys and see you at Lucca, next show for me but this time without my wife Chantal. 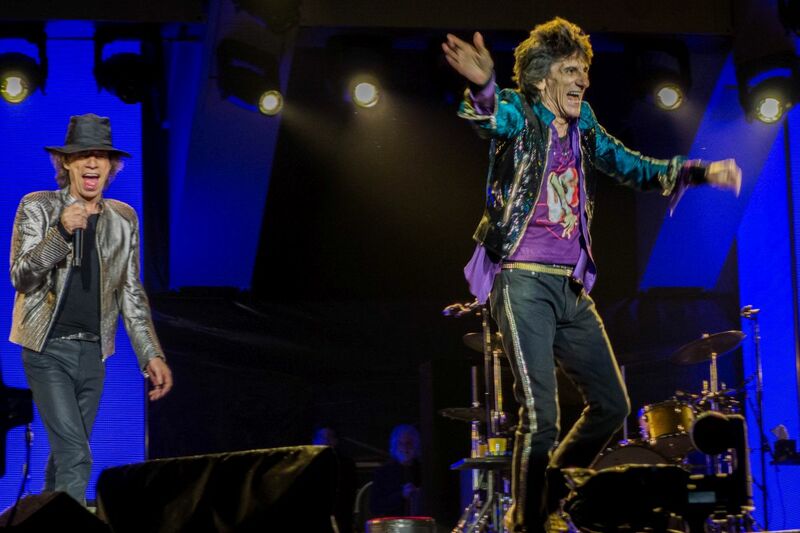 And for everyone going there don't miss the "Rollingstonesitalia" party on Friday ! It is 8:31pm. The wait is over. Charlie is climbing his seat in the dark with a pair of airphones. We hear the playback congas, while Bernard is filling in on some real congas on the side. Then Mick is moving slowly up from behind Charlie. "Sympathy For The Devil". They are on. Now I know why I do all of this. All the hazzle is in order to be in front of this great band. When they play live. At home in this moment my mind would have accused me for being lazy and ignorant, I would not be able to rest. But I am here, that is where I like to be, feeling the greatest rock'n'roll band on my body, standing next to great friends I have met over the years. The love of the band. Then Keith is walking up, attacking his guitar, and "Sympathy" is running with all engines. A group in front of me is dancing, jumping up and down "the Argentina way", and keeps on through the show. I see smiles everywhere, some young, in their 20's, some older, like me. My mind start walking back in history. I think about the fact that three of them have been together since January 1963, when Charlie made it for the first gig, and Mick and Keith even longer. 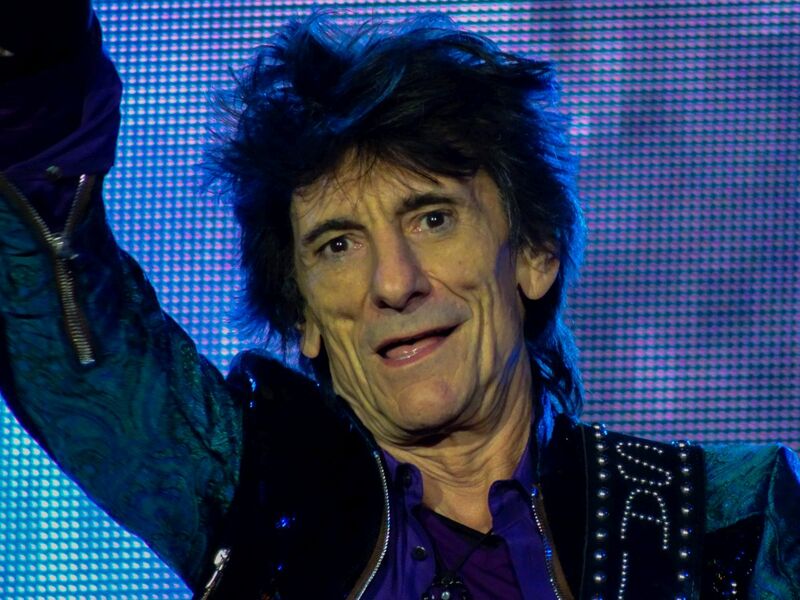 For more than fiftyfour years Charlie has been back there drumming for Mick and Keith, and Ronnie isn't longer the "new guy"... 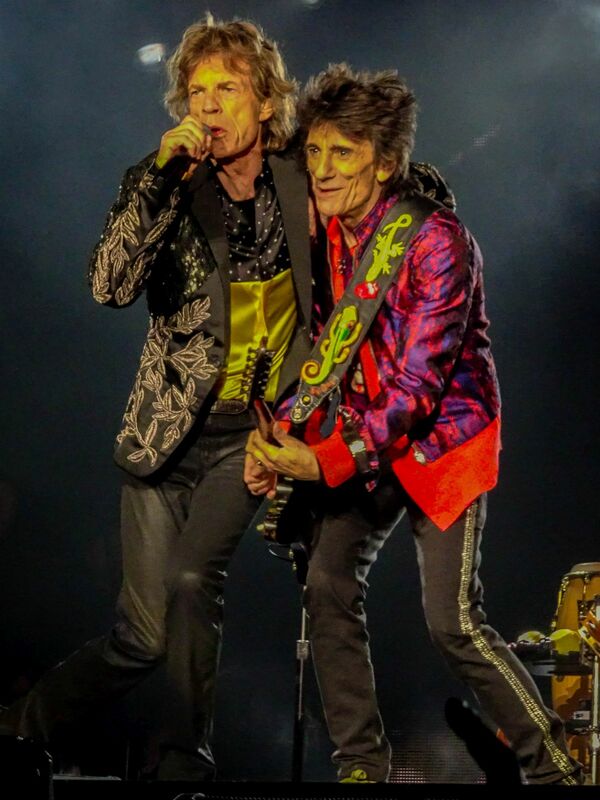 I have the deepest respect for these guys, and I am so glad they still show up and perform so that I can hear the songs of my life, songs that I have been listening to during the five decades I have been a Stones fan. Enough dreaming, they shake me back into reality now at the show. Ronnie working hard, having a coat, still freezing. Keith with a long coat all through the show. Mich stripping down during the first half, then keeping the jacket on for quite a while during the second half. Munich is so cold now, it was 10 C (50 F) or even below that during the evenings. At one point it is starting to rain. 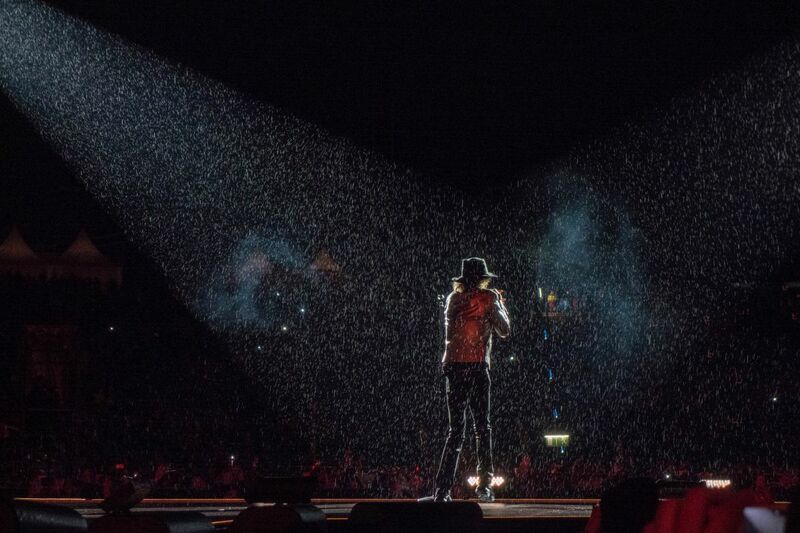 As Mick is arriving back from the extended stage, he says with a frustated voice: "They said it would not rain!". Then he says "It will stop soon". And sure it did. Within 5 minutes there is no more rain. The show is great, like in Hamburg. I can't really compare these two shows. May be Hamburg was better in one way, because of "Play With Fire", or because of other details I liked. But there are other details today. The smiles on their faces. The great songs, the complete show. 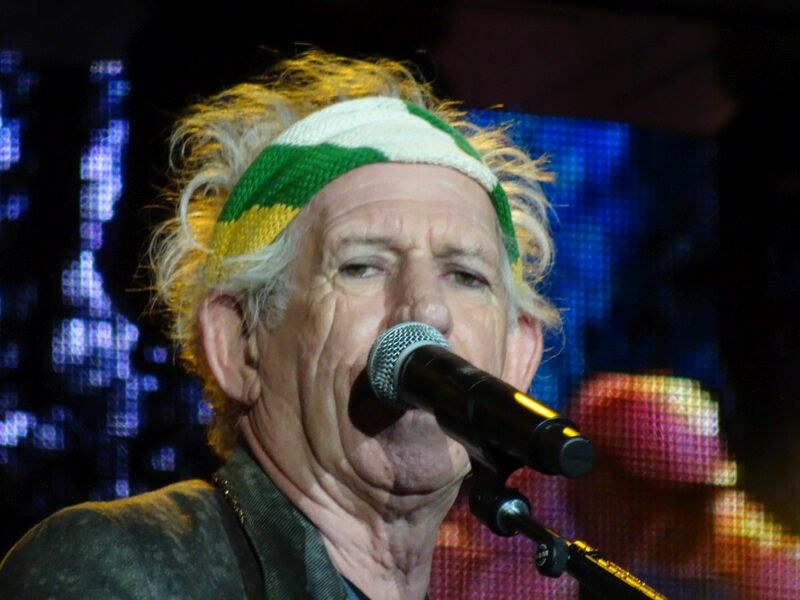 Sure Keith start "Gimme Shelter" with a twist, again, then he is on, but to me that is no worry, that is part of the show. I don't look for errors, I look for the joy and the rock'n'roll. If they came on stage and played "Street Fighting Man", and then left it just with that song, I would be happy. Rather that than sitting at home knowing it was all over. They do still have so much to give to us. They are not like Usain Bolt, at a point where they are judged by positions and ranks. Some do, not me. May be this was a different report than the ones I usually write. In short, I am just trying to say how much I enjoyed the show in Munich. And I am so glad there is another twelve shows on this tour. Don't miss them. Get to one of their shows. Get a cheap ticket. They are still around. They sound great at any position on the field. Enjoy the Stones! 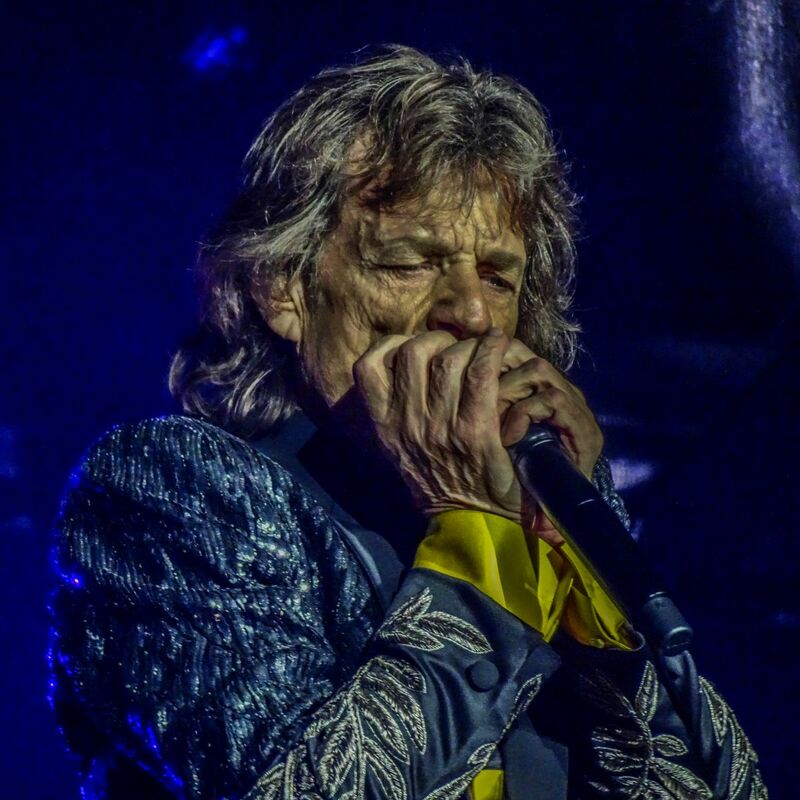 Can you skip a Stones show in your hometown? To be honest we thought so, esp. when we saw the ticket prices. But then the focus fell on the LD’s and we said, ok why not try these (for the first time). Anyway, we then bought two LD’s, i.e. four tickets to raise the chances to get decent seats. That was acceptable. Hamburg setlist sounded promising. So on show day we took a day off to get early to the Olympic Stadium, mainly to get a parking lot nearby. Arrived at 3 p.m. there and just after leaving the car we bumped into old friends. After that, buying some merch, having a bite and looking for the LD counter. Then waiting for some good friends with whom we shared the tickets, we queued up at the counter. All of a sudden there it was again “Boom”, all the excitement; we’re going to a Rolling Stones show. The magic moment when we opened the envelopes with four No Filter Pit tickets! Off through security and down to the pit. There were only about ten people on Ronnie’s side, most of them old and close friends. Standing right next in the corner of the stage and the catwalk, that was top of the notch. Time flew by with chating, meeting more friends and making new ones. 20:30 lights went out. That was the moment I’ve been personally waiting for. Will I still get goose bumps like dozens of times before or is that feeling and special relation with Band gone? The first notes of Sympathy and there it was again. Goose bumps all over and the feelings seems to explode. The show: We all had a blast. So many friends and familiar faces. It was a big party with nothing but pure joy. My personal highlights were Mr. D and Street Fighting Man. My wife caught Ronnies pic. Those tweaks here and there every member of the band had during the show, who tf cares. That’s part and the essence of a live show. If you don’t like it, stay at home and watch a DVD or listen to a CD.